The About collection from Hay is one of the most versatile ones of the Danish manufacturer. In the beginning there was a chair and the collection grew steadily from then on. The AAT 10 is a rectangular table in different sizes, which is wonderfully suitable for the dining room or the kitchen. The frame of the About A Table AAT 10 dining table is leaned on the four-leg-frames of the About A Chair collection. The simple, but still independent shape makes the tables set accents in the room they’re in, still remaining in the background. 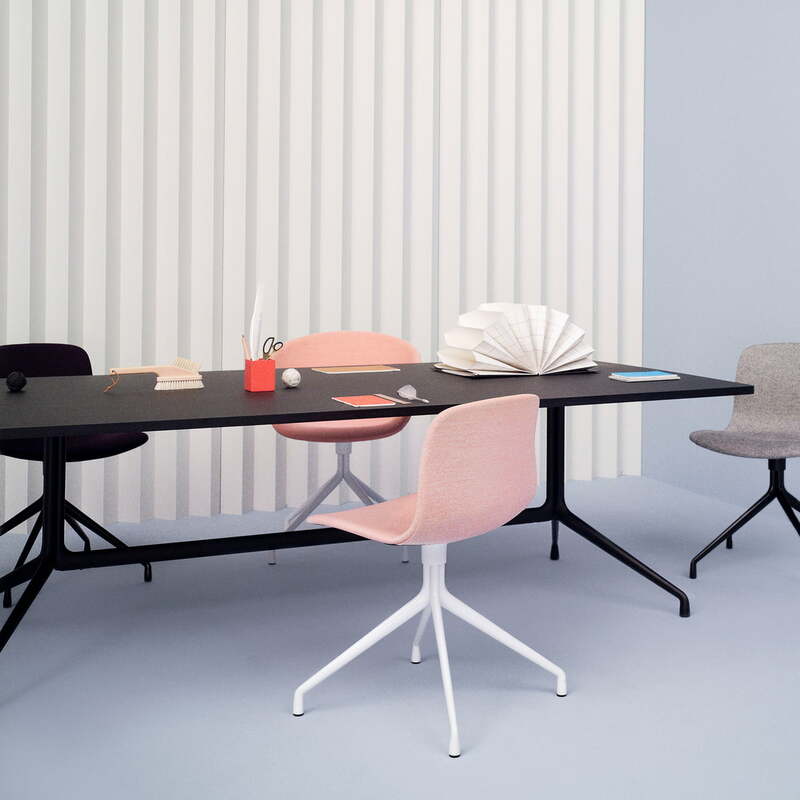 This is the reason why the table of the About collection designed by Hee Welling for Hay is suitable for private and public rooms both equally. 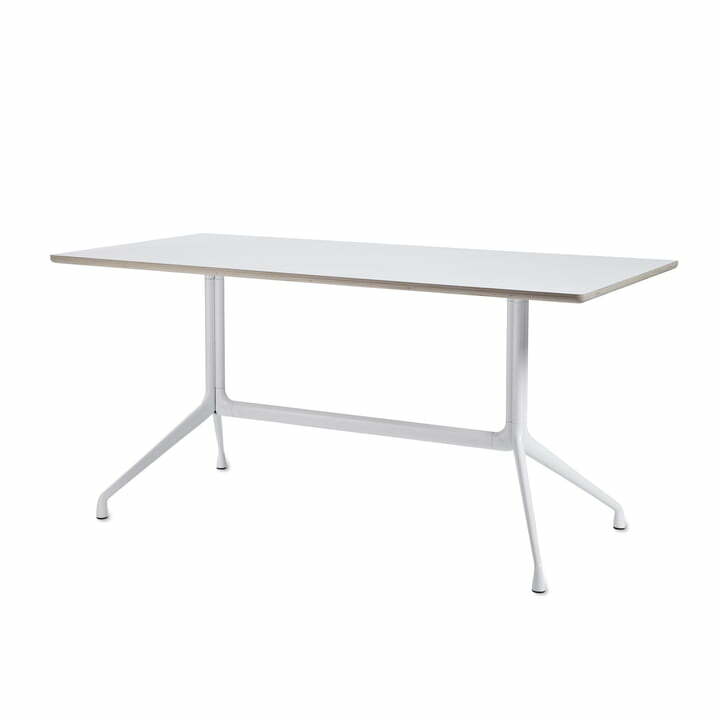 Hay produces the About A Table AAT 10 dining table with a base out of powder coated aluminium,. The 26 mm thick table top is made of plywood, which can be ordered coated with laminate or linoleum. The white laminate edition of the table top has a rough edge, while the black linoleum top has black edges. 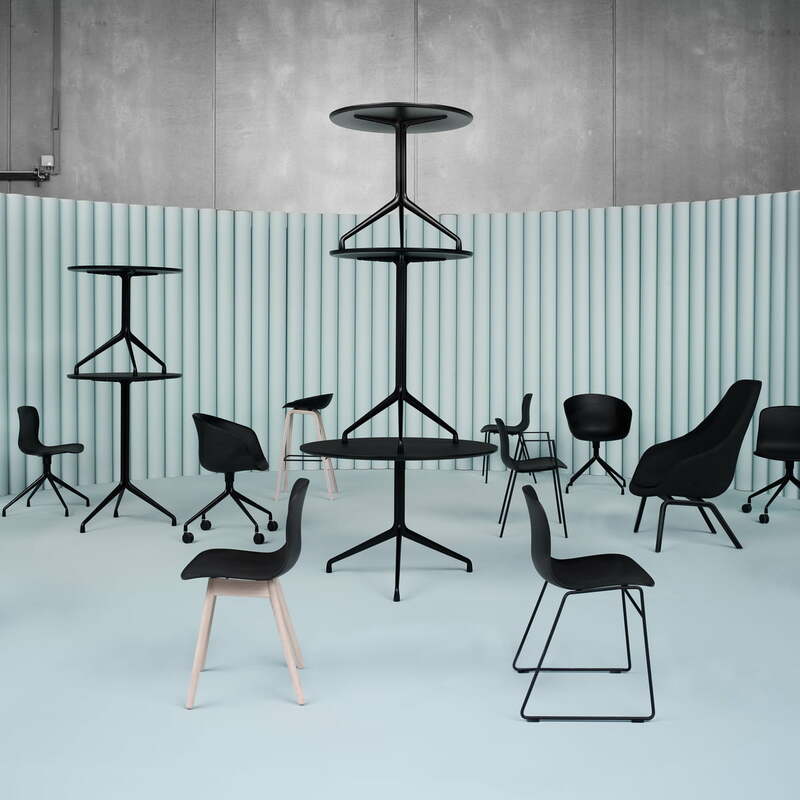 The uncountable combinations of the About A Table collection with the suitable chairs by Hay enable individual and unique combinations, which will never look like they were chosen by chance. The angular shape of the versatile AAT10 dining table is perfectly adapted to communicate together while dining. The AAT is also available in further sizes as dining table, as smaller bistro table, as higher bar table and as round dingin table.